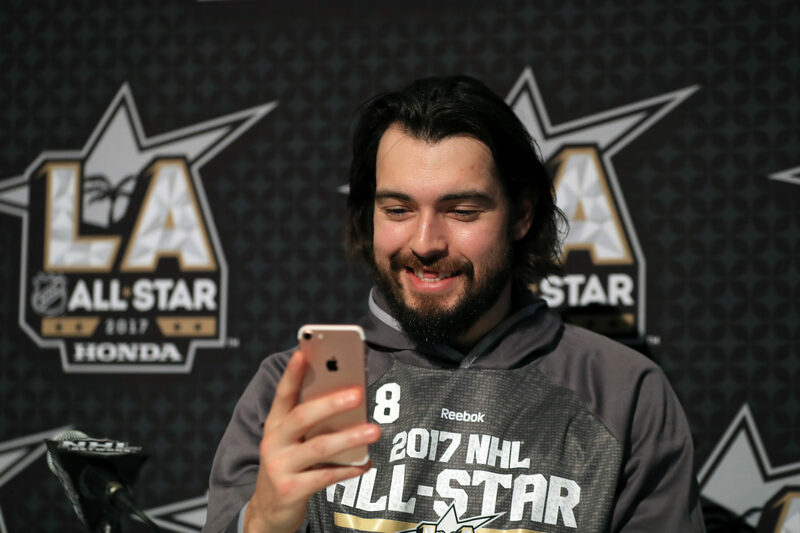 Allow me to present a new LA Kings Insider recurring feature – one that has actually been in the planning stage for over a year. During the season, whether on social media or in LAKI commenting, I get asked questions about certain aspects of the team’s play, travel, logistics and organizational structure. I try to answer these questions the best I can, but thought, ‘why not get the answer from someone more learned and ask a player?” And thus begins LAKI’s Teach Me series, which will regularly ask a player on the team about an aspect of their profession or role that may not immediately be known by the general, hockey-watching public. We’re planning on tackling a ton of topics that might not otherwise be germane to the daily question-and-answer scrums that take up so much of our time between 11 am and noon. What is getting traded like? How would you describe playing in Montreal? What kind of a teammate was Colin Fraser? How do you deal with reporters and the media? How are rookies treated? How do nicknames stick? All of these topics – and many more – will be covered in the Teach Me series. Handling the media! This is a very broad topic. Please allow me to break some news: “media” isn’t really represented by a figure wearing a trench coat and a press credential tucked into the band of their fedora these days. 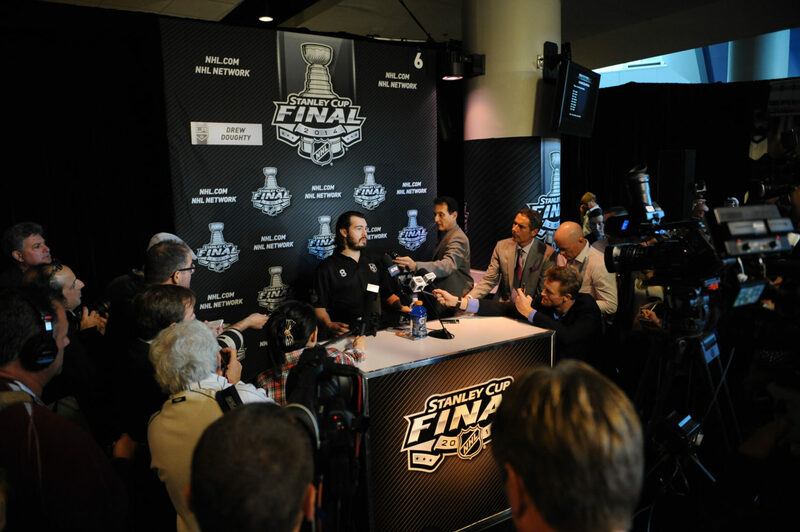 When the LA Kings open up their dressing room at Toyota Sports Center or at Staples Center, there may be print reporters, digital reporters, columnists, national reporters, broadcasters, team staff, invited guests, et cetera, et cetera. And, obviously not everything reported by the media is learned in this availability. There are follow-ups – emails to management, to agents, to other figures – to complement what has been shared in the room, gleaned from recent play or learned through outside reports or correspondence. On game days this is sped up a bit, but on a typical practice day, a public relations figure will deem the dressing room to be “open,” and there’s a group of anywhere from a small handful to dozens (if we’re in particular Canadian markets) of media types entering the room, approaching players they need to speak to, awaiting their turn whilst in a scrum, asking their question, and then moving on to another player until enough time has elapsed and the coach emerges from his office to answer questions. But this is just the perfunctory explanation of how the media does their job. What about the player perspective? What about the coach perspective? It’s not always a two-way street; reporters ask very difficult, often personal questions, but it will usually reflect worse on the behavior of a player if they throw a question back in the reporter’s face than it reflects on the reporter when they ask a poorly constructed or uneducated question. There was an episode late last week in which Randy Carlyle was asked about his job security and issued a profane rebuttal that was widely and accurately deemed to be uncouth. That wasn’t fair to the reporter, who was doing their job and asking a question that was absolutely germane to the topic on hand. And not quite to the degree as the pressure on the players or coaches, forums like Twitter also allow the ticket-purchasing public to put a little bit of pressure on reporters to ask the tougher and more uncomfortable questions. Meeting with the media isn’t the favorite part of a player’s duties, but even amidst the more emotional moments in the immediate aftermaths of games, they also understand that reporters have jobs to do and can even be helpful in telling their own important personal stories and, of course, are the ones voting on league awards. 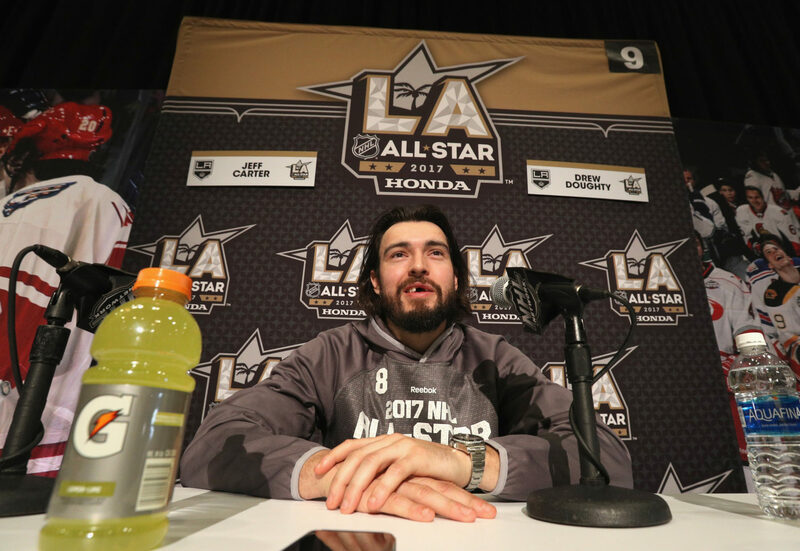 Drew Doughty, beautifully honest and blunt, is aware of that. These players are remunerated handsomely, so it’s not as if they’re dealing with a daily burden that we should empathize with. But it did provoke an interesting conversation with Los Angeles’ most gregarious and interesting player who always shares his time with those who have questions. I think just always try to be available. If you’re always available, I think the media obviously appreciates that for one, and it makes you look good, and then hopefully the media doesn’t [—-] on you later. That’s one of them, for sure. I’m a guy that’s going to speak from my heart, which maybe sometimes I shouldn’t. I say too much. But for the most part, you can’t be throwing any guys on your team under the bus. It’s staying positive, you’re not calling guys out one-by-one or anything like that. You can maybe call out the team in general, but it’s always team-first. I know as hockey players we’re pretty typical in the answers we give, but that’s just because we’re such great team guys, and we don’t want to make headlines. That’s the bottom line – you’re not trying to make any headlines. Sometimes you get asked questions, too, that kind of piss you off. Your immediate reaction is that you want to give an answer that’s – what’s the right word – kind of mean. Basically, sometimes when you get asked those questions, you’ve just got to take a second, realize they’re just trying to make a headline, they’re not trying to make you feel bad or anything like that, and just give the right answer. Sometimes I just try to think for a few seconds before I start speaking, because sometimes I can get upset and then just say whatever I want and bad things will happen. Just try to deal with the media with respect, obviously. Be honest. Just always be available. I think for one is when they challenge either you as an individual or challenge your team and say that ‘what was up with that game last night? You guys played like crap.’ No one actually said that, but you know what I’m getting at. 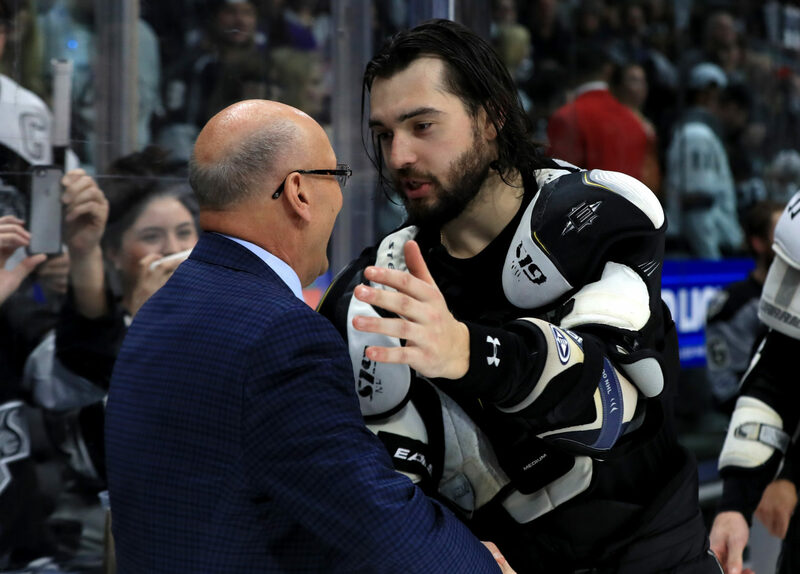 That frustrates you sometimes, because you feel like you and your teammates are giving everything you possibly can on the ice that night before, and to come in that next morning and hear from the media that that was [road apples], it’s not a good feeling, because you gave it your all. But, that’s just the bottom line. Sometimes you are [road apples], and they’re just telling the truth, so it’s not on them. Besides that, I don’t think anything else really pisses me off. Obviously, I get pissed off when media members say other players are better than me when I know for a fact that they’re not, so that pisses me off. I try to just keep the same approach – just that honesty. Try not to say anything to make any super-big headlines. But, yeah, definitely, when you go to Vancouver or Canadian cities you’ve got to be probably a little more careful, because those guys will take it and run with it a little more. Hockey is huge in those areas of Canada. But I don’t really change too much – just maybe keep it a little more simple. Oh yeah. Yeah, definitely. When it was early and he came here, we loved it, we thought it was hilarious. And then as the time went on, it got old a little bit. We definitely thought it was funny, but at the same time, we thought it wasn’t great for you guys, you know? That’s his entire game plan. He doesn’t want to give you guys anything so you guys don’t come to him. He’s a smart man. There is a big difference. [laughs] But it’s the amount, and it’s every day in Van. Like, lots of days I’d be in two-a-days, and they’d have probably a couple cameras there all the time. Just the volume is different. There are probably two radio stations for sure that talk about it all the time, so it’s just out there more. It’s just more of a topic. I think for me, the media is a big part of your team too, though. [pause] I’ve got to be careful with what I’m saying! I’m being careful. But I just think the media’s fair. They’ve got a point of view, and you won’t always agree, so that’s where the difference is.